Engineers at the Michoud Assembly Facility (MAF) in New Orleans are making solid progress on the welded cone section of what is now known as the Exploration Flight Test 1 (EFT-1) vehicle. 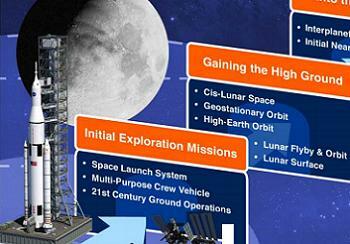 While this vehicle is set to ride into space in late 2013, the forward exploration path for Orion continues to be worked, with growing references pointing towards Crewed lunar surface missions. Several Orions – otherwise known as the Multi-Purpose Crew Vehicle (MPCV) – are located across the country, as much as the main focus of attention is on the Ground Test Vehicle (GTA) stack at Lockheed Martin in Denver, and the Exploration Flight Test 1 (EFT-1) in New Orleans. The latter is the “flagship” of the early Orions, under construction as a “crew capable” vehicle which will be tested via launch, several orbits around the planet, followed by entry and splashdown. This test – which will see Orion lofted into space via a Delta IV-H launch vehicle – was previously known as the Orion Flight Test-1 (OFT-1), prior to changing call signs to EFT-1 to represent the vehicle’s primary role as an exploration vehicle. MAF, better known for constructing the giant External Tanks (ETs) for the Space Shuttle, are charged with welding the sections of the Orion EFT-1 vehicle, which began in September. Engineers are now around a third way through the cone section welds. Orion’s opening two missions via the Space Launch System (SLS) are Lunar flights, the first uncrewed in 2017, followed by a crewed Apollo 8-style mission, officially manifested for 2021, as much as work is continuing to push this mission to the left by at least two years. 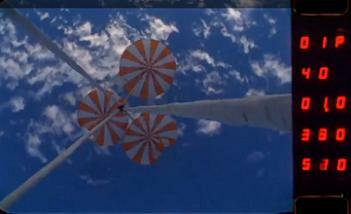 This will mark the first time humans have ventured out of Low Earth Orbit (LEO) for decades. Work is continuing – under the leadership of former Space Shuttle Program (SSP) manager John Shannon – on an exploration roadmap, of which there are no official details. However, source information (L2) points to a November meeting where NASA advocates of a Lunar landing mission in the early 2020’s – known unofficially as “Lunar Surface First” – will provide their input. 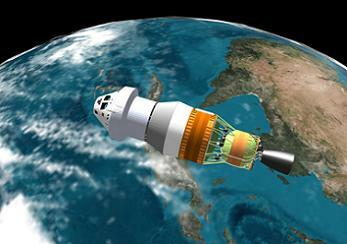 Returning to the Lunar surface – which would follow after SLS-1 and SLS-2 – was the initial stepping stone for the now-defunct Vision for Space Exploration (VSE), centered around Ares, Orion and the Altair lunar lander. The current plan is vague, with references to a Near Earth Object (NEO) mission in the mid 2020s, on a path to crewed missions to Mars in the 2030s. A specific article will follow when further information is available. 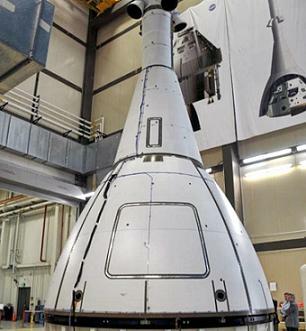 Over in Denver, the Orion GTV and Launch Abort System (LAS) – which together make up the sleek-looking Orion GTA – is continuing to be put through acoustic testing. Currently returned to the High Bay at the Waterton Facility, the stack will gain panels to simulate the Service Module (SM) – a key part of the vehicle which continues to undergo trades, which may include a role for Europe’s ATV propulsion hardware. “The Ground Test Vehicle (GTV) and Launch Abort System (LAS) Ground Test Vehicle (GTA) stack was moved from the acoustic test chamber to the high bay floor at the Lockheed Martin Waterton facility in Denver, Colorado,” added the L2 Orion notes. The notes also added that Thermal Protection System (TPS) testing for Orion is taking place, with a cold temperature test showing some unspecified anomalies, which are being assessed. Orion’s TPS will be put through far higher stresses when compared to LEO vehicles, with as much as twice the energy expected for Orion’s entry from a Beyond Earth Orbit (BEO) mission. Valuable entry data was gained during shuttle Discovery’s final missions, which included a Catalytic Coating applied to two tiles in the turbulent heating wedge on the belly of the orbiter, appearing as two green stripes across the tiles. A version of the coating was first flown on STS-2, 3 and 5, as part of a laminar/catalytic flight test effort. However, the documentation wasn’t maintained, leading to the Orion request for help from the flagship orbiter. 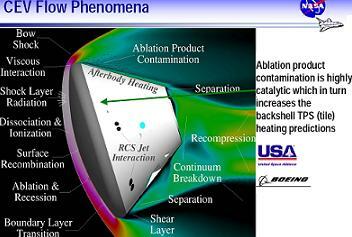 Several Detailed Test Objectives (DTOs) into understanding the entry heating performance of a fully catalytic (CC-2) coated tile located downstream of an in-built protuberance – designed for Mach 18 Boundary Layer Transition – were achieved by Discovery during the last few years of her service. In tandem with the major drive towards the first flight into space for Orion, there has been a notable increase in activity this year – following the reversal of the FY2011 budget proposal, which cancelled Orion, by the 2010 Authorization Act, along with the long-awaited announcement to confirm the configuration of the SLS as Orion’s launch vehicle. Although Orion Parachute tests have been conducted since 2007 – with 20 drop tests in total – a late September test marked the first in a series of flight-like parachute simulations – the closest simulation so far to what the actual Orion parachute landing phase will be during a return from space. The drop tests at the US Army’s Yuma Proving Grounds in Arizona utilized a C-130 aircraft releasing the drop-test article that mimicked the Orion parachute compartment at an altitude of 25,000 feet. Once airborne, two drogue chutes were deployed at an altitude of 19,000 feet, followed by three pilot parachutes, which then deployed three main landing parachutes. The drop test article speed as it impacted the desert was approximately 25 feet per second. (Images: Via L2 content and NASA. This article was collated from L2’s new Orion and Future Spacecraft specific L2 section, which includes, presentations, videos, graphics and internal updates on Orion and other future spacecraft.